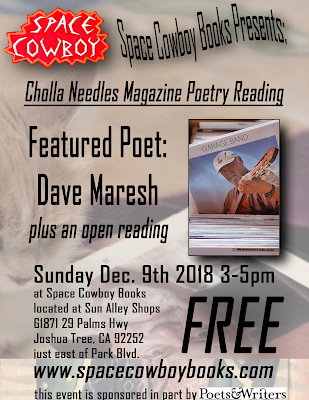 December's featured reader is Dave Maresh. Dave is the author of Garage Band, a fun collection of short stories sure to fill your holiday spirits with joy. Dave is also the author of A Book That Turned Up One Day, poems guaranteed to tickle your funny bone. We will also have 50 minutes of open reading! Come early and sign up! We ask each reader to read one short poem so everyone who wishes to participate has an opportunity. All participants in issue 24 will receive their contributor's copy at the reading. See you there! We welcome your poems for future issues! Poets and Writers (pw.org) are helping us to sponsor the featured reader with matching funds from our wonderful audience. Your generous financial support has given us the ability to match funds through December, 2018. Thank you! 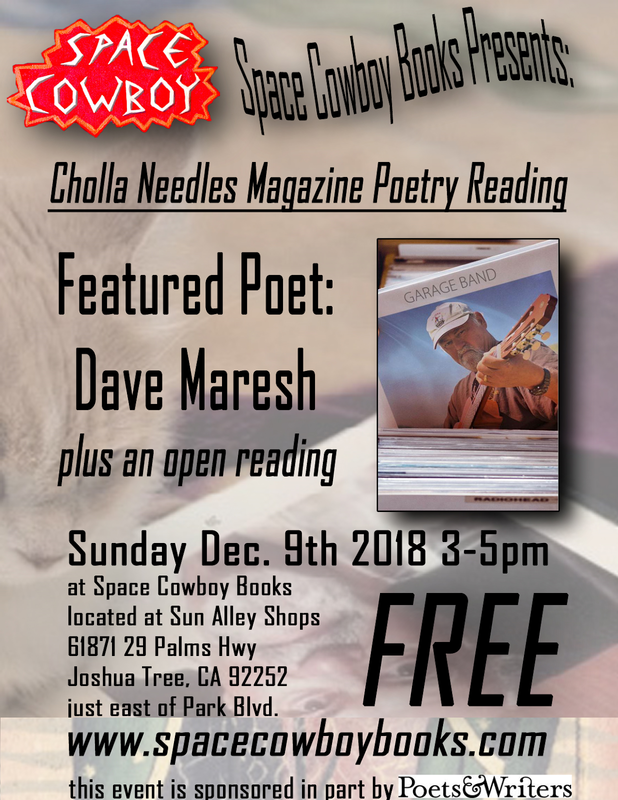 Cholla Needles - December Issue Release!